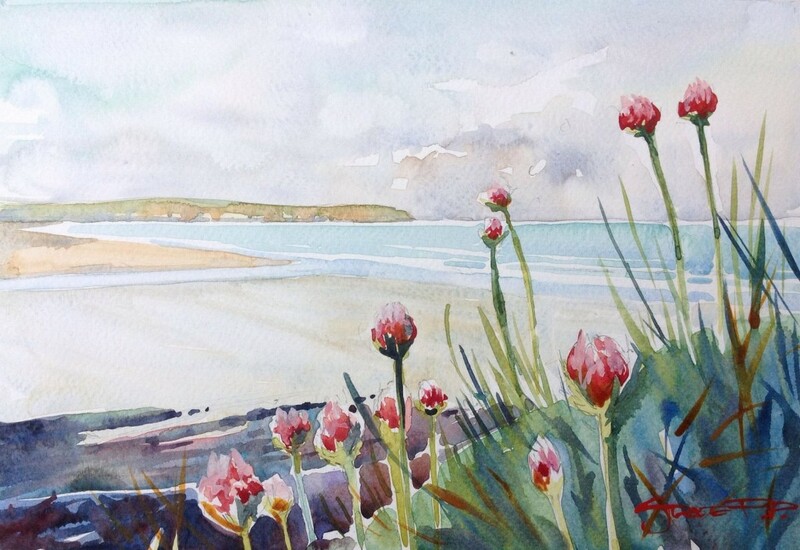 Steven Pleydell Pearce Fine Art Spring Sea Pinks - Woolacombe watercolour painting from Steve PP. The elegance of Sea Pinks is so subtle and unassuming, They cling to the cliff tops in tight huddles , leaning out over the sea cliffs and beaches, adding delicate pink hues to complement the cool blues of the skies and sea. Such an exquisite sight and my favourite coastal visitor.